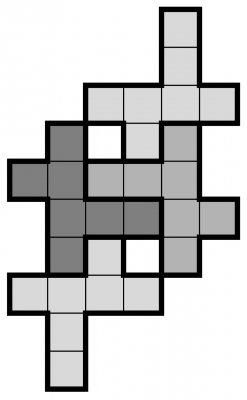 Even small versions of these puzzles can be surprisingly hard! 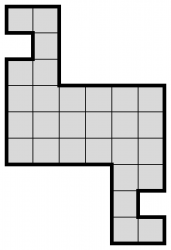 In these fantastic little brain teasers the aim is to divide the grid into a given number of identical shapes, drawing only along the existing grid lines. Shapes can be rotated but not reflected. 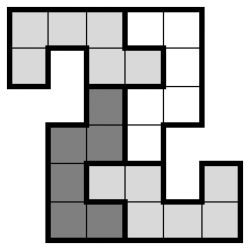 In the samples here the solver must find four identical shapes, and despite appearances they're typically much harder to solve than you might expect!